Manchester United are willing to part ways with Ander Herrera to Barcelona, should they receive Jordi Alba in a straight exchange deal. The 27-year-old had a top season with the Red Devils last term as they celebrated an EFL Cup and Europa League double under Jose Mourinho. As a result, the Spaniard was named the club’s Player of the Season as he put in a real shift in central midfield alongside veteran Michael Carrick. Spanish outlet Don Balon claims that the Mancunian giants could end their association with Herrera with the midfielder yet to extend his contract beyond next season. New Barcelona boss Ernesto Valverde worked alongside Herrera for a single campaign(Athletic Bilbao) between 2013 and 2014 before the midfielder left for United, and the manager is now eager on a reunion at Camp Nou. There have been talks over a four-year contract on the table for the former Basque player, but this has not diminished speculation about his future with Barcelona an admirable option for any top player in professional football. Herrera struggled to make the starting lineup on a regular basis under former boss Louis van Gaal, but the arrival of Mourinho has done wonders to his careers after he settled to a deeper holding midfield role. Carrick has duly delivered in a similar position for the Red Devils, but Herrera appears to have made the spot his own with Mourinho looking to slowly drift the former from first-team duties. Carrick, 35, inked a one-year extension at United recently, but he may not expect as much playing time as he earned during the course of the previous campaign. Herrera bagged exactly 50 appearances for Manchester United, who will back in the Champions League next term. 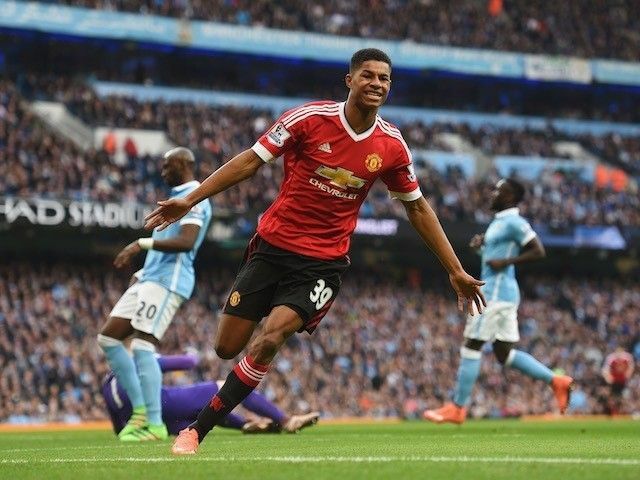 Marcus Rashford broke into the first team of United in unlikely circumstances. Louis van Gaal was head coach at the time and the Red Devils were in a injury crisis involving most of the first teamers. Mou’s appointment as head coach in the summer of 2016 did pose a threat to the youngster’s cocoon-to-butterfly journey. The Portuguese is an unrepentant advocate of experience over youth, a special signature to never have the patience of giving team reserves enough time to prove their worth. From letting Lukaku leave for Everton while he was working at Chelsea, to loaning Madrid homeboy Alvaro Morata to Juventus during his time at the Spanish capital. Manchester United have been dealt a major blow in their efforts to win the Manchester Derby after it has emerged that Paul Pogba is also unavailable for the game. The world’s most expensive player appears to have suffered a muscle injury in the 2-0 win over Burnley during the weekend. United are looking to secure a win in this Manchester derby in order to move into the fourth spot of the Premier League table. After having witnessed Liverpool suffered a 2-1 loss against Crystal Palace, it is imperative that United take advantage of the two games in hand to close the gap on the Reds. Henrikh Mkhitaryan has admitted Manchester United did not top his wishlist of club’s to play for, but insists they were still a step up. Manchester United may not be Henrikh Mkhitaryan’s dream club but the challenge they offered was enough to convince him to leave Borussia Dortmund for the Premier League. Naturally Dortmund were desperate to hold on to the Armenia international when United came calling, but the 28-year-old opted could not turn down a switch to Old Trafford. “United might not have been my dream club, but they have always been among the best clubs in the world for me,” Mkhitaryan told Sport Bild. Speaking to MUTV and in the post match conference after his team drew points with Liverpool at Old Trafford, Jose Mourinho claims his ward did not get the result they fought for in the encounter. “The result is not the result we wanted, but it is a result we have to accept. We were the team with the chances in the first half but they were the team who scored with the penalty then in the second half, we dominated them and had more chances, but they defended well and tried to smell the possibility of a counter-attack. Manchester City is keen to reinforce their team, especially with their disappointing season. One area that will want to strengthen will be their defense where the new players that they signed last season failing to deliver the goods. One player that is constantly being linked with Manchester City is the German defender Matts Hummels. Various media reports are linking the Borussia Dortmund with Manchester City. Pep Guardiola, who is supposed to take control of the Manchester City team next season, will be interested in strengthening a sector that has been conceding goals quite often this term. Indeed, only Vincent Kompany can be considered as a world class player, and Guardiola will be desperate to add more talented players to his squad. However if City wants to land the Dortmund defender, they will need to move quickly since Liverpool as well as Chelsea seems to be interested in the player. 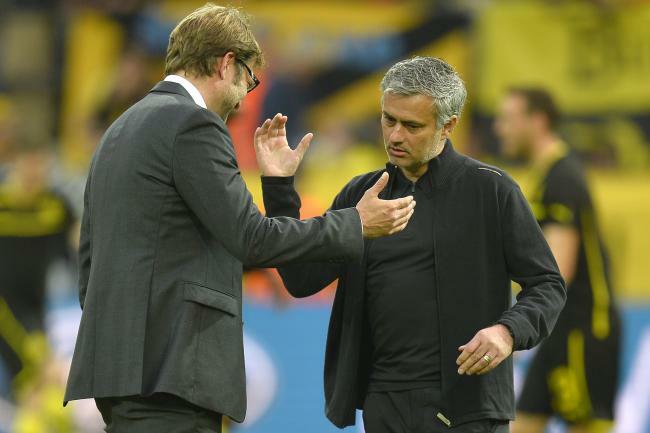 With Jurgen Klopp, the former Borussia Dortmund manager now at Liverpool, there is still chances that Hummels might prefer Liverpool over Manchester City. Only time will tell which club will be able to land the talented Manchester City defender. Manchester United will be hoping to continue their winning momentum when they take on neighbours Manchester City at Old Trafford this evening. The Premier League champions can move to within two points of fifth place Tottenham Hotspur with victory over their fierce rivals, and close the gap on City to nine points. Manchester United kept alive their slim hopes of securing a top four finish with a comfortable 2-0 victory over West Ham United at the Boleyn Ground on Saturday afternoon. Wayne Rooney opened the scoring in superb fashion on just eight minutes, lobbing Hammers’ keeper Adrian from just inside the hosts’ half. Manchester United will be hoping to take the momentum gained from Wednesday evening’s Champions League last sixteen second leg victory over Olympiakos when they travel to West Ham United in Saturday’s late kick-off in the Premier League. Top scorer Robin van Persie could feature despite being stretchered off at Old Trafford midweek, while Jonny Evans is also pushing for a return after missing almost two months through injury.